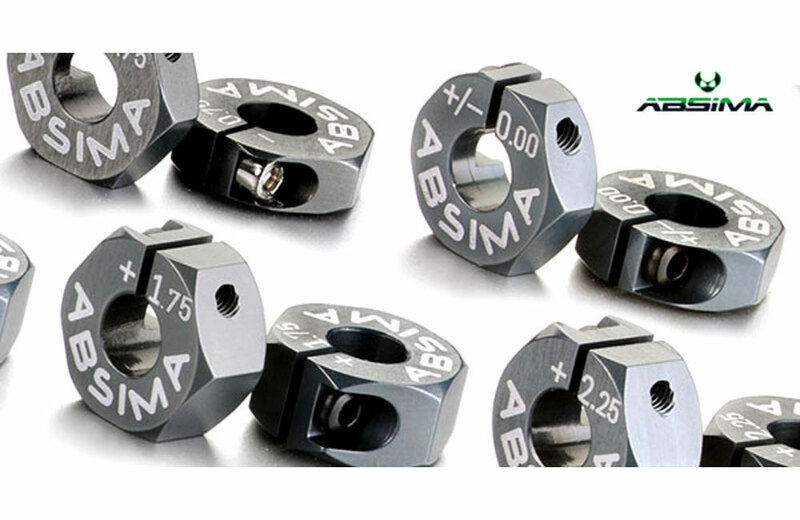 All Products > "2560013 Absima Alu Wheel Hubs Offset +1.50mm 1:10"
Absima presents new �lightweight" 12mm aluminum 7075 T6 wheel hubs. Available in different width, to change the track. The gun-metal anodized offset wheel hubs are available from -0.75mm up to +3.00mm.